All Passive Fire Protection products that have a function to protect from fire, require to be tested to ensure they are fit for purpose. 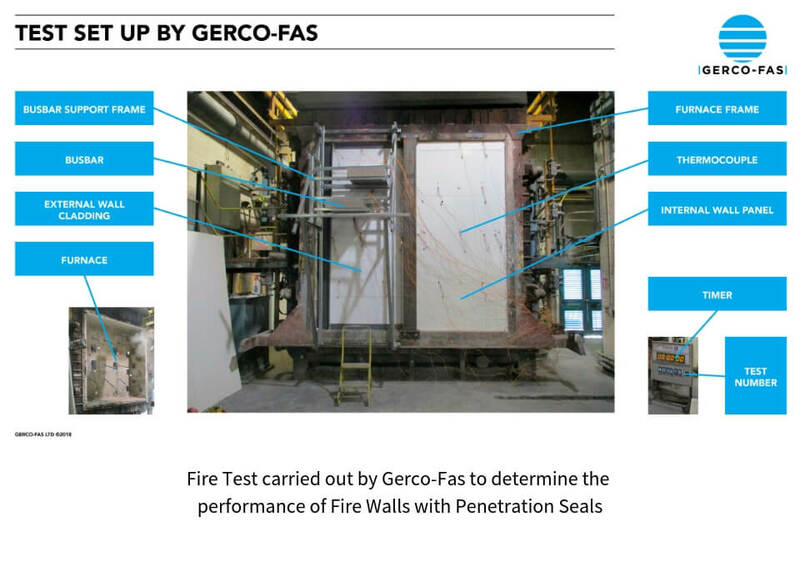 This fire test carried out by Gerco-Fas explains the process in detail and includes an informative video of a live test. Sometimes more than one particular product needs to interact and work together with other products in order to prove efficacy. For example, sprinklers and fire alarms, electromechanical door closures and fire alarms. Cavity barriers also act to compartmentalise space in ceiling and roof voids for example. 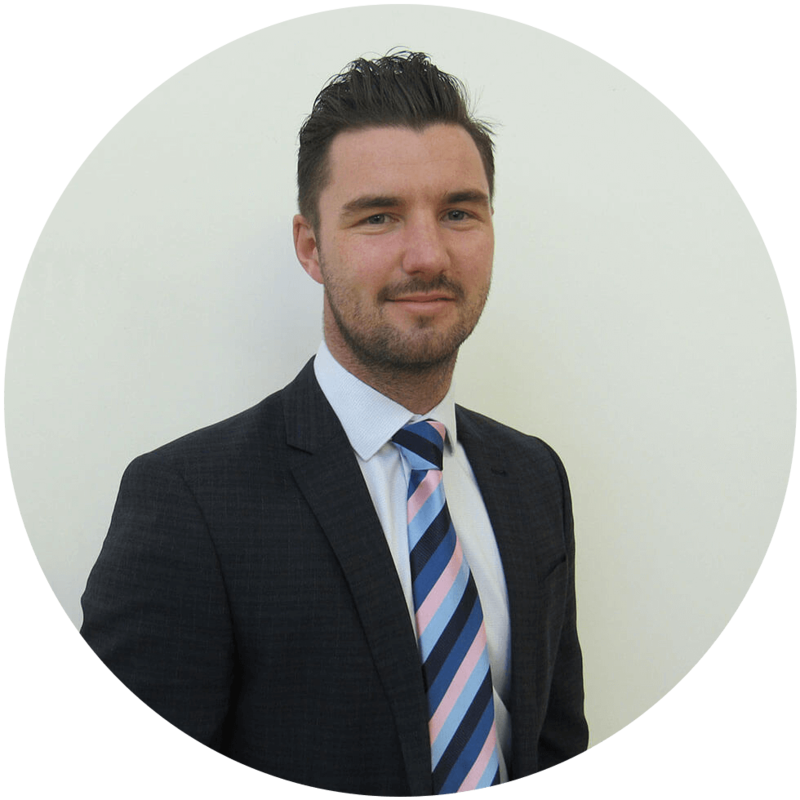 More discerning clients are now asking questions on how differing wall constructions, when breached with services, will react as a whole when a fire occurs. The way to put theory to the test is to build a construction which includes these elements and test them. Gerco-Fas has carried out many such tests on behalf of clients and this is one of them. Inside a frame, different components are assembled and the frame is attached to a furnace. Testing is also carried out on structural fire protection such as intumescent coatings. The furnace follows the standard time/temperature curve for buildings. An overpressure is also created in the furnace to mimic a real life fire. Thermocouples on the non fire side are attached to monitor the external temperature of the wall face. Any deflection of the wall is measured by a laser. Physical change is recorded by video. The fire test laboratory must be accredited. British, European, American and International fire resistance testing services is underpinned by UKAS accreditation to the internationally recognised testing laboratory standard ISO/IEC 17025. It is also a Notified Body Testing Laboratory (NBTL) under The Construction Products Regulation 16 Feb 2016. Generally, with firestopping materials and the services passing through them both insulation and integrity are required to pass to satisfy the standard and failure of either determines the test performance. The test fails integrity when the heat 25mm from the wall face ignites a cotton pad and fire breaches the wall i.e. sustained flaming. Should the temperature of specific thermocouples on the non-fire side exceed 180 deg C + ambient temperature this is the point where insulation failure occurs. This is the criteria that would allow spontaneous combustion of flammable materials on the non-fire side. 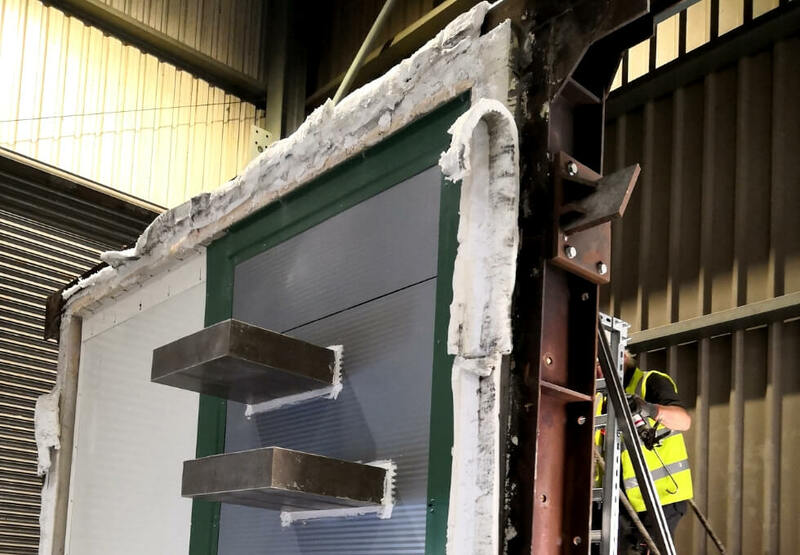 In this particular case, the Passive Fire Protection Firestopping carried out by Gerco-Fas maintained its performance and failure occurred in a horizontal wall joint. From inception in the 1980’s Gerco has progressively developed into one of the most reliable and well-respected subcontractors operating throughout the UK and the rest of Europe. We’re here to help, investing in research and projects to collectively exceed expectations. We cover all main sectors such as data centres, health sector, residential tower blocks, retail, sports stadiums, student accommodation, hotels, Inns and all other commercial or public sector projects. Regional office based in Rotherham, England.